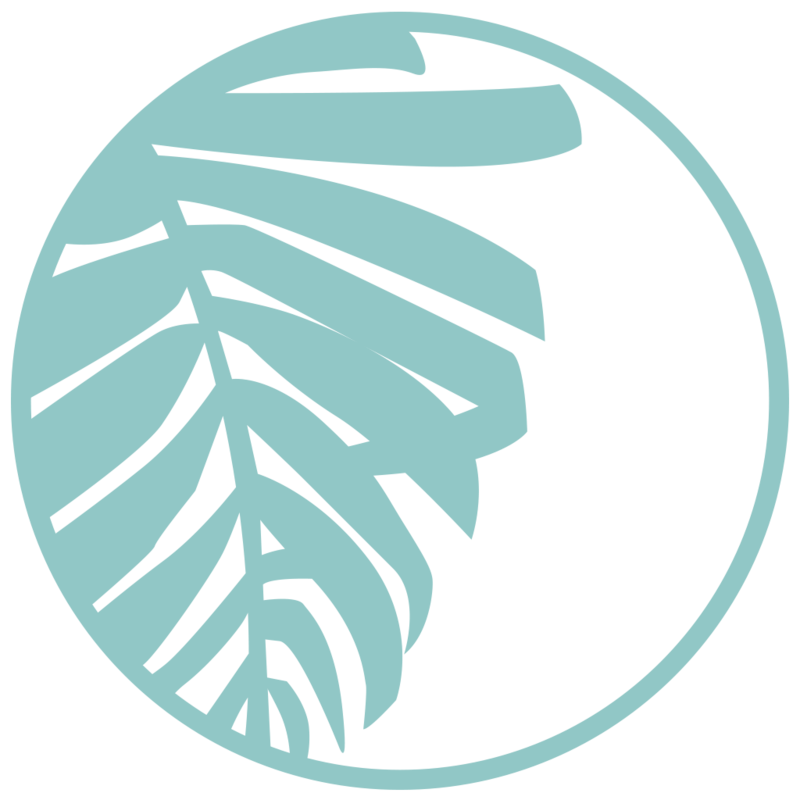 Watch and learn about our church! Parking can be a challenge during our weekend services. 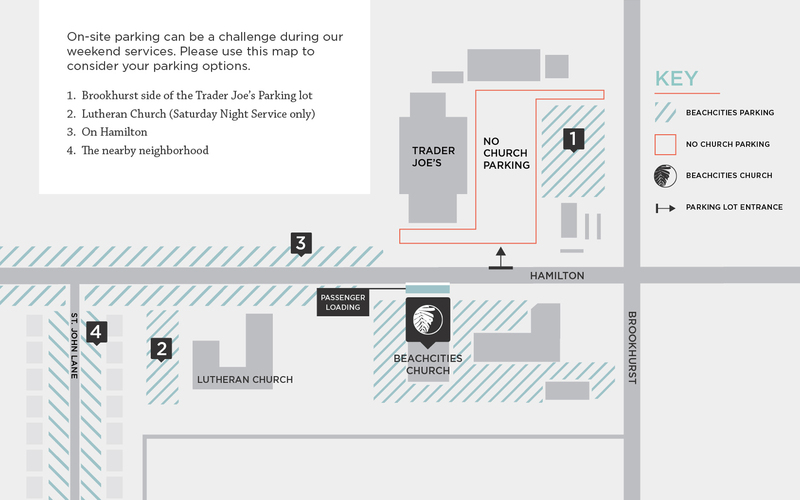 In the event that you are unable to find parking in the church parking lot, please consider the options below and review the map. 1. Brookhurst Side of the Trader Joe’s Parking Lot. 2. Lutheran Church (Saturday night service only). We offer complimentary 3rd party valet service for the 9:30 and 11:00am services. 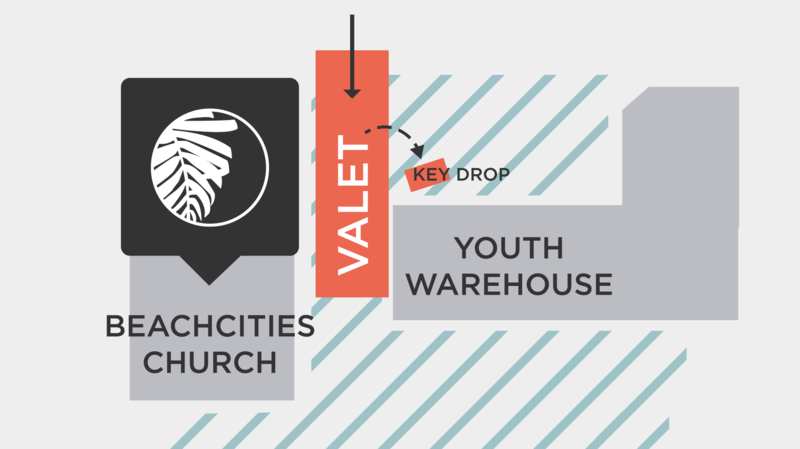 The valet service is located between The Warehouse and main building and runs from 8:30am until 12:30pm. Coming to a new place for the first time can be a bit overwhelming if you don’t know what to expect. We’d love to connect you with one of our friendly staff or volunteers who will guide you through the ins-and-outs of stepping into a new place for the first time. They will be your point person from parking, all the way through how to get better connected. Click the “let us know you’re coming!” button to get connected with us! We can’t wait to meet you!